Peggy serves as Executive Director and Chief Operating Officer of Wichita Medical Research and Education Foundation. She has been with the Foundation since the spring of 1999. She has been an active health care advocate for many years. In her role as Executive Director of WMREF, Peggy is responsible for day to day business in addition to assisting the Board of Directors in developing future ventures into medical research and medical education in the Wichita community. Peggy currently serves as the Co-Chair of the Kansas Cancer Partnership (KCP) through the Kansas Department of Health and Environment. The Partnership develops and helps implement the Comprehensive Cancer Control Plan for the state of Kansas. Peggy has a long history of volunteerism locally, in the state and nationally. 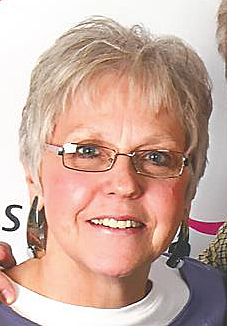 She is a long time volunteer with Susan G Komen both locally with the Kansas Affiliate and nationally. She serves as an Advocate in Science for Susan G Komen reviewing research applications and working with the research community to further meaningful breast cancer research. Teresa is a graduate of Oklahoma State University with a BS in Accounting and Marketing. As WMREF's Controller, Teresa is responsible for the financial business of the Foundation, from the day-to-day accounting operations, preparation of monthly financial statements to oversight of the Foundation’s investment portfolio for the Board of Directors. 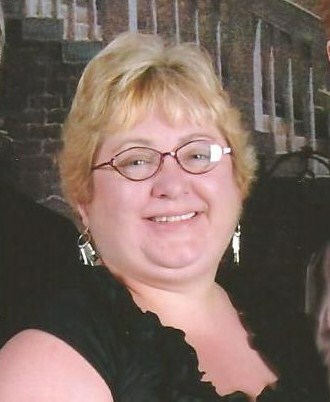 Teresa came to WMREF in 1995, as a part-time staff accountant. Teresa also serves on the Foundation's Educational Grant Review Committee which has responsibility for the Foundation's educational funding priorities. Prior to working at the Foundation, Teresa was an Accounting Manager at Koch Industries for 14 years. Teresa also holds a CPA certificate from the State of Kansas. Teresa is an committed volunteer in the Wichita Community. She has served on the Board of Directors for Kansas Affiliate of Susan G Komen. She is an active member of Delta Theta Chi Sorority, currently serving as a nationalPresident for the group. She serves on the Board of Directors of the Witness Project of Wichita. She and her husband are active volunteers at the Church of the Magdalen, Wichita, Kansas. In her spare time she uses her years of accounting experience to provide accounting assistance to small not-for-profit organizations that cannot afford a staff accountant and currently serves as the volunteer accountant of the Non Profit Chamber of Service of Wichita. Joy is the Research Administrative Manager for the Foundation. Joy came to WMREF from the Department of Pediatrics at The University of Kansas School of Medicine-Wichita as a Research Assistant. She is a proud graduate of Wichita State University with a Bachelor of Science degree in Health Services Management and Community Development. Joy is responsible for the day-to-day administrative duties for the Institutional Review Board, Scientific Review Board. During her free time Joy enjoys spending time with her family. She is madly in love with her husband Phill who is a Major in the US Army and stationed here in Wichita. She also has 2 wonderfully crazy boys; Dane 6 and Gabe 3 who usually take up most of her free time but makes time on the weekends for some K-State Football. Growing up as a military brat Joy has lived in 2 countries and 3 different states but calls Junction City, KS home. others to gain knowledge to improve the chances for all of us to live longer, happier, healthier lives.